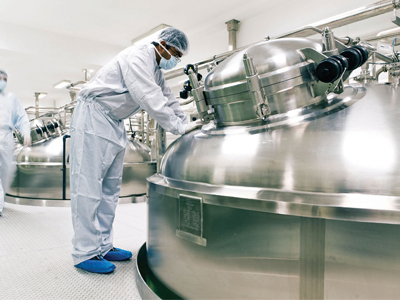 Continuous processing still represents a major long-term aim for many pharmaceutical and biopharmaceutical producers. But until very recently, the process changes and validation required would have been so fundamental and onerous as to make it unachievable for all but the largest of companies. However, new market requirements along with regulatory and technology advancements are making small steps towards meeting this goal. Recent technological progress in areas such as reactor chemistry, micro and nanoscale material processing, on-line monitoring and process control is bringing the reality of continuous processing a lot closer. The major regulatory authorities now acknowledge the benefits that continuous processing, aligned with initiatives such as process analytical technology and Quality by Design, could bring – i.e. greater process efficiency and control, better product quality and ultimately cheaper drugs. Continuous processing is not necessarily going to suit every product and it cannot be implemented for all manufacturing steps without first solving issues around required volumes, quality, homogeneity and characterisation of intermediates. Most of these issues will be specific to individual products. However, some companies are already en route. Eli Lilly, for example, is on the record as saying it has installed and demonstrated four different continuous processing platforms, with continuous processing steps in place for most of its medicines in development. Academic institutions are also working on the concept for the production of APIs. Researchers at the Max Planck Institute of Colloids and Interfaces (MPICI) along with the Freie Universität Berlin have succeeded in producing Efavirenz, an agent used in the treatment of HIV in combination therapies, using a concise continuous flow method. They say that continuous flow leads to better product quality and produces a similar amount of API in a comparable time, but the reaction needs less investment and exhibits a higher degree of control. 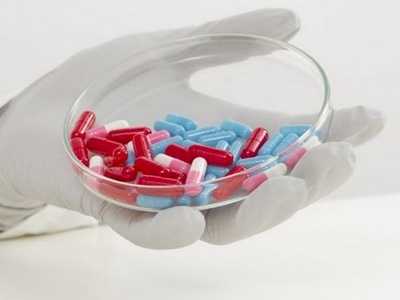 In addition to producing single medications such as Efavirenz continuously, the researchers say that a modular reactor can also be used to produce patented and generic medicines belonging to the structural classes of γ-amino acids, γ-lactams and β-amino acids, simply by changing the order of reactors. 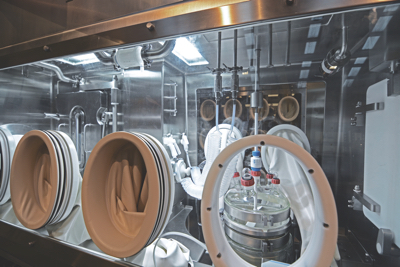 Independently-owned API manufacturer Medichem says it has demonstrated commercial scale continuous-flow production of APIs using the Corning Advanced-Flow G4 silicon carbide reactor. It was able to produce an organometallic compound API under cGMP conditions in several production campaigns and can now repeat its results with a continuous flow multipurpose unit at industrial scale. Medichem was concerned with an organometallic process that reduced in yield dramatically every time it was scaled up. After some testing with continuous flow, the company was able to reproduce and scale up with the same yield and better purity than its conventional batch process. Corning provided a turnkey equipment solution, including automated feeding systems that comply with the ATEX directive and G4 reactor. Medichem’s proper flow devices along with Corning’s continuous flow reactors achieved such encouraging results that the company decided to evaluate scaling-up by integrating a Corning Advanced-Flow G1 reactor. Consistent quality and reliable performance properties led it to implement the same process with a Corning Advanced-Flow G4 reactor at plant scale. UK-based contract research organisation Onyx Scientific has also made a significant investment in continuous flow manufacturing to allow its customers to explore alternatives during product R&D programmes. 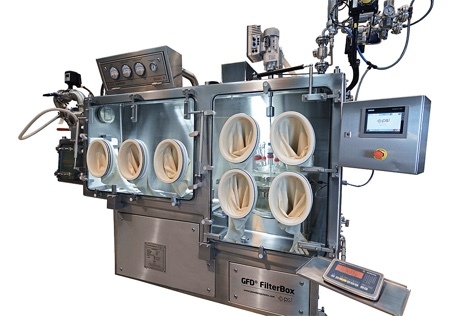 Denise Bowser, Commercial Director at Onyx Scientific, says: ‘The move to continuous flow manufacturing has been seen by a handful of companies in the sector to date so we feel that we are very much at the forefront of technological advances when it comes to the development and production of APIs. The concept of continuous processing has also been followed up by solid dose equipment manufacturer GEA, which introduced the ConsiGma continuous tableting line in 2014. A typical installation would consist of continuous raw material feeding, a continuous granulator, a semi-continuous dryer, an evaluation unit, a blender for the addition of the outer phase and a tablet press. There are various options for raw material feeding. The line has been designed such that both R&D and production can use the same size of equipment, thus eliminating scale-up. Further advantages are higher yields, increased quality levels and higher efficiency. Development times are shorter, cost of ownership is reduced and energy consumption is lower. So far, GEA says more than 50 companies have tested in excess of 80 different formulations at the GEA Process Development Centre in Belgium. Developments in nanotechnology and micronisation are also helping the efficiency of pharmaceutical reactions and yields, while also offering improved drug delivery. It would seem the demand for such processes and services is on the increase. 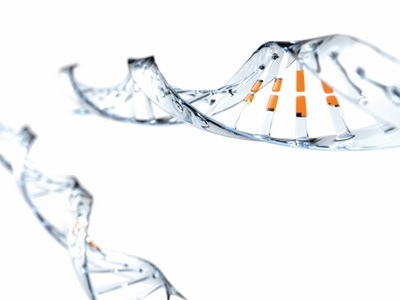 Particle Sciences, a leading CDMO for micro and nano-particulates, says it is expanding its sterile and aseptic manufacturing capacity for nano-milled drug products to meet increasing demand. 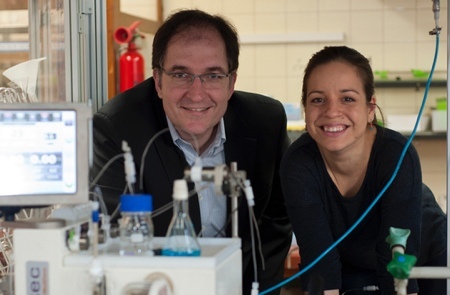 In Spain, Chemtrix together with eight partners are involved in a €6.3m ‘NanoPilot’ project initiated in January 2015 that will deliver a flexible and adaptable pilot plant for the production of polymer-based nanopharmaceuticals for clinical trials. 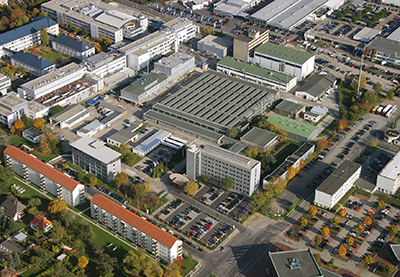 By coupling modern micro reactors and advanced characterisation techniques in the NanoPilot plant the participants aim to combine the same product flexibility, safety and process control that continuous manufacturing has so far brought to the production of APIs under GMP conditions. 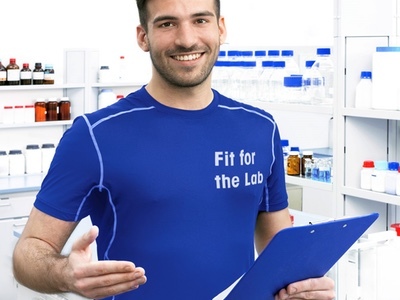 Funded by the European Union under the Horizon 2020 framework and located in San Sebastian, Spain, the pilot plant will provide a tool for SMEs and academic institutions that could accelerate innovations through to clinical trials. To demonstrate its versatility, three nanosystems will be produced for medications targeting conditions ranging from dry eye syndrome to bladder pain and HIV. The project runs until 2018. Formulating compounds at the micro- or nanoscale leads to challenging containment issues, however, and requires specifically designed manufacturing equipment to overcome process problems. The more integrated the process, the safer it is likely to be. Powder Systems (PSL) USA has been involved in developing microsphere filtration solutions designed to produce microspheres (small spherical particles with diameters in the micrometre range) used in longer-lasting time-release drug delivery. 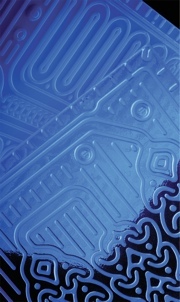 In response to the challenges faced by drug manufacturers with other techniques such as mesh blocking, lengthy drying and steam-in-place difficulties, PSL has developed a turnkey solution for the aseptic downstream formulation of polymeric microparticles. The MicroSphere Refiner combines filtration, cake washing, classification and drying, all in one step, with sterile product recovery. The harvesting of the microparticles is key in the formulation process as the control of particle size distribution affects the time-release effect of the microcapsules. Also producing a time-release action, but using different technology, is the Glatt MicroPX micro pelletising technology. This continuous fluidised bed agglomeration procedure is used in the manufacture of pellets and micropellets with a very high active ingredient content. This new technology allows the manufacture of micropellets in sizes of 100–400µm with very narrow particle size distribution and consistent active ingredients content of 90–95%. Pharmaceutical substances are sprayed in liquid form together with the excipients into the MicroPx fluidised bed system. Initial spray drying creates product dust at first, which is agglomerated in a controlled manner in the start of the process. Subsequently, these primary particles are built up to micropellets in layers to a desired size. Micropellets of the correct size are continuously discharged from the process via air separation, while particles that are still too small are returned to the processing chamber where they are built up further. An increasing requirement to achieve better yields and particularly for continuous production is better in-line monitoring and sampling techniques. Here, too, new equipment is helping to achieve this aim. The recently launched Parsum IPP-80 probe from Malvern Instruments, for example, is designed to enable inline particle size measurement for efficient process monitoring and control. Suitable for powders, pellets and granules, the probe enables the real-time monitoring of agglomeration, coating and granulation processes. 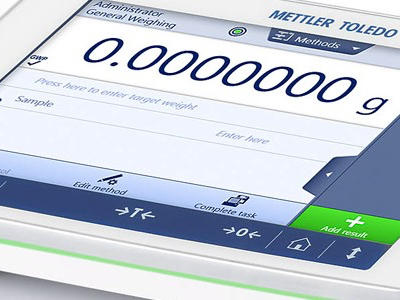 Mettler Toledo ReactIR technology, meanwhile, allows the sampling of any chemistry under a wide range of batch or continuous reaction conditions. It enables scientists to sample and study different phases of chemical reactions under a wide range of conditions, including high and low temperature, high pressure and under vacuum, acidic, caustic and corrosive, in both lab and production environments. The miniaturisation of analysis equipment generally is helping with inline monitoring. A new, innovative and powerful analytical system, currently designed for the lab bench enables on-line NMR reaction monitoring. The Spinsolve high-resolution benchtop NMR spectrometer from Magritek can be installed directly in the fume hood of a chemistry lab to monitor the progress of chemical reactions on-line. Reactants can be pumped in continuous mode from the reactor to the magnet and back using standard PTFE tubing. Such developments may soon progress to production lines. 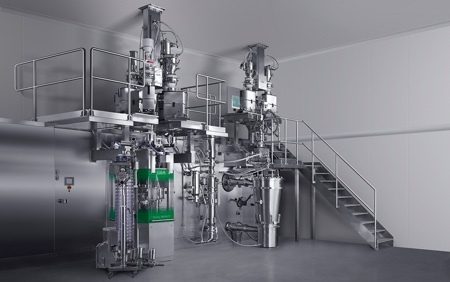 Continuous processing and single-use technologies are the two key drivers in the bioprocessing industry today, but extractables and leachables are among the main hurdles limiting uptake and scale-up of single-use technology. Antioxidants, plasticisers, antistatic agents, UV curing agents, stabilisers and processing aids can react with biomaterials, affecting yields and contaminating drugs. Scalability is another limitation, with current capacities around 2000L in most cases. However, the use of nanocomposite fibre-based materials may overcome this issue in future. Some companies, such as Biogen Idec, have successfully created a hybrid network of fixed and single-use equipment to meet variable product demands, while elsewhere continuous processing for the production of biologics from mammalian cell culture is being investigated as a viable replacement for the standard fed-batch fermentation. One of the main advantages would be the reduction in equipment size using disposable and, where desirable, mobile rather than hard-piped equipment. Christopher Love, an associate member of the Broad Institute, and an associate professor of chemical engineering at the Koch Institute for Integrative Cancer Research at MIT, has presented the concept of Integrated and Scalable Cyto-Technology (InSCyT) as a platform for continuous, mobile production in a closed-system facility. 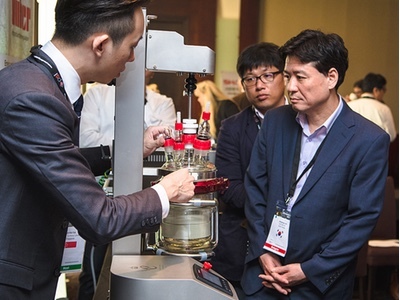 According to Love, the InSCyT platform comprises ‘an integrated, sublitre-scale portable system for the (semi)continuous operation of fermentation, filtration of cell debris from secreted product, innovative affinity-based purification, polishing, and finishing’. It includes integrated on-line PAT and process control for QbD production and product qualification for release, he says. Love suggests the platform could find use for rapidly creating materials for preclinical and early-stage clinical testing, and manufacturing therapies for orphan diseases, among others. This novel system has been experimentally demonstrated on a continuous pilot plant for manufacturing the Novartis pharmaceutical product aliskiren.